Cape Coral's median home price of $245,000 is the highest since February 2008, when the median piece hit $250,000. The following month that year, median prices dropped to $218,000, and continued to drop until our local market hit rock bottom in December of 2010. This current rise in prices is not only being realized in Cape Coral, but in Fort Myers, Bonita and other local cities as well. The fact that prices keep rising here despite inventory increasing is a paradoxical event in the normal course of a real estate cycle, and especially related to the "supply and demand" theory. However, in the latter half of February more homes went under contract than were coming on the market. Decreasing inventory will likely continue through the end of season, and possibly beyond, due to the brutal winter up north. Between a good amount of inventory to choose from, expected future price increases, low interest rates and assessed property values being lower than true value (due to Assessors Values typical 18 - 24 months lag time behind market values), this is likely to be as good as it gets for buyers. New home listings coming on the market are averaging about $300,000 in Cape Coral, and much higher in Fort Myers and Bonita. Although median home prices in the Cape are now about $115,000 higher than the bottom of the market (Dec 2010), they are still approximately $100,000 below our past peak prices in January 2006. If history is any indicator we have a long way to go before our next peak. Long time clients know that I've previously written that every new peak price point has exceeded previous peak prices...often by substantial margins. If we don't at least reach our last peak market it will be a first in real estate history, which I doubt will happen. Three years ago I was in a minority of about one when I stated that we would see 2005 - 2006 prices again at the next market peak. At least now people don't look at me like I've totally lost my mind. The usual comments are "Well, you may be right about home prices reaching 2006 levels, but it will take another 15 - 20 years". All indications are that history will repeat itself and it won't take anywhere near 15 - 20 years. Four to six years might be closer to the right timeframe. It has taken us only 38 months from the bottom of the market to get more than halfway to the previous peak. Time will tell, and I will admit it if I (and history) turn out to be wrong. WINK News, one of our local television stations, recently had a broadcast about Cape Coral's rapidly rising saltwater home prices. As reported in our January Newsletter, overall median home prices in the Cape rose by 19% in 2013. However, saltwater homes rose by an even more impressive percentage: 24%. 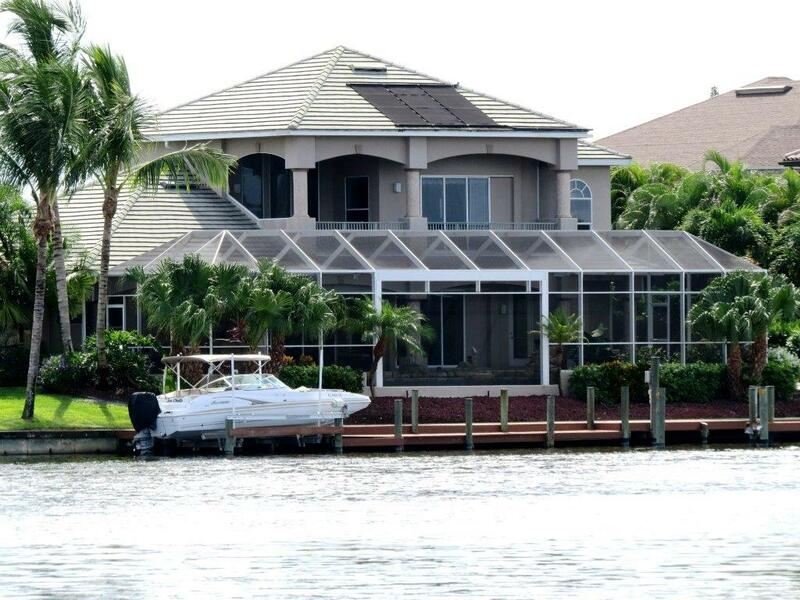 The median gulf-access home a year ago was $310,000. Currently that price is $384,000, with no indication that saltwater home prices have stabilized. One funny story in the broadcast was of a buyer who came down here a few years ago looking for the "deal of the century". That same buyer (likely regretful at procrastinating) is now looking for "just any deal". One of the agents interviewed stated that saltwater home inventory is decreasing and prices on waterfront homes will keep increasing. We agree wholeheartedly. Cape Coral: 14 th Fastest Growing City Forbes Magazine recently named Cape Coral as the 14 th fastest growing city in the U.S. for 2013. The population growth rate for last year was 2.41%, with median income at $52,100. Tom: During our peak growth years of 2004 - 2006, our "little slice of Paradise" was usually in the top 10 fastest growing cities each month, and reaching #1 a few times. I'm predicting we'll be in the top 10 again this year. 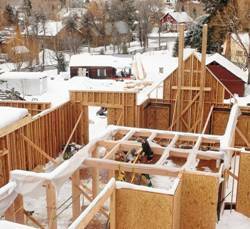 Bad Weather Affecting U.S. Housing Construction: U.S. home construction fell two straight months, in great part due to the harsh winter up north. However the expectation is that housing will deliver another year of solid gains, helped by the improving economy. For all of 2013, housing construction rose 17.1% to 976,000 units, the best showing since 2007. Tom: The harsh weather up north is having a profound effect this season on our local economy and real estate activity. As I've written many times: each new home creates an average of three jobs for a year, and generates $90,000 in tax revenue. Divorcing Couples a Growing Market Niche: Now that the recession has ended, the divorce rate is rising again. The number of Americans getting divorced rose for the third straight year to about 2.4 million, according to the Census Bureau. In 2009, the divorce rate plunged to a 40-year low. The rise in divorces has coincided with a rise in household formations. "Separations and divorce often create additional housing demand by creating two households when there was one", says David Crowe, chief economist at the National Association of Home Builders. "Home prices are going up and many people who were postponing their divorce might start thinking about it", says Abdur Chowdhury, a professor at Marquette University. "In many cases after divorce, people sell their homes and divide up the proceed, which provides each of them with a nest egg to begin to separate their lives", says Chowdhury. Tom: divorce is a disheartening way to achieve an uptick in the real estate market, but something that unfortunately occurs after each recession. Client: "We are coming down in a month or two to buy a home. You have advised us not to get too interested or excited in a specific home, or have Sue conduct an extensive search on our behalf until a few days before our arrival. 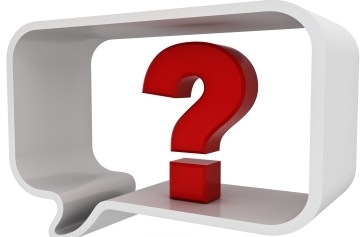 Could you explain why such a small window of time?" Tom: In peak season, good homes that are well-priced will not last on the market very long. It isn't wise for us all to devote time (or for you to get excited) on homes that are unlikely to be available when you arrive. As just two recent examples: Sue spent several hours selecting her top four waterfront homes to show a client arriving in 2 1/2 days, thinking this was close enough to their arrival. 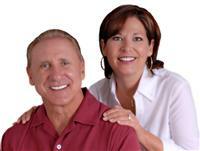 Upon our client's arrival two of Sue's four top selected homes were under contract. 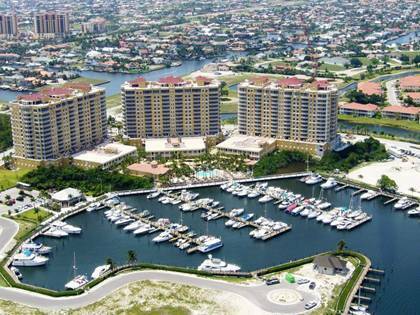 Another client looked at several gulf-access condos in a nice waterfront development. They thought it over for about a week, and the night before they wanted to submit an offer their favorite condo was under contract. In addition to the best priced homes selling quickly, Sue has a unique knack and interminable patience in scouring the market and zeroing in on the best homes/values. Then I get involved in the negotiations; each of us utilizing our strengths on our client's behalf. 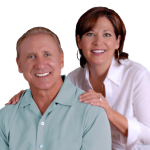 Client: "My husband and I are relocating to Cape Coral soon, but we want to rent for a year and then purchase a home after the year lease is up. What are your thoughts on this?" Kim: We have many clients in the same situation, and here is what we suggest: rent a furnished home here for a month or two, and put your furniture and personal belongings in storage. This will save you the time, money, and stress of moving twice, while allowing ample time to search for the right home and area. As Tom has mentioned in past newsletters, he projects our market will increase about 15 % in the next year, which means if you wait a year to purchase you will pay substantially more for a comparable home, and you will delay establishing your property tax base with the Assessors Office by a calendar year. This delay could add $1,500 to $2,000 in property taxes for every year you live in the home (see past Newsletters). And, if you are buying via a loan it is unlikely that we will see the same low interest rates a year from now. These three financial factors, along with the inconvenience and cost of relocating twice, strongly favor buying sooner rather than later. For more information on Florida's property tax and homestead laws please visit our website Capewaterfrontliving.com.